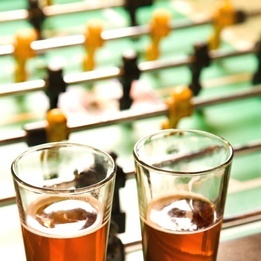 Name: Foosball Tournament~Weekend Beer Co. The Foosball Tourney will be held on Sunday, April 14th at 12:00pm. Two person teams will face off in a game of foosball, where the winning team will advance to the next round until a winner is determined!